I have been doing some new recipes but mostly I have been repeating my favorite Banana Smoothie Hair Conditioner and my last Shampoo. These days I am trying to formulate a gel with aloe vera for soothing the scalp and maybe a gel for face, because here it is already starting to be quite warm and the winter cream is too heavy already! 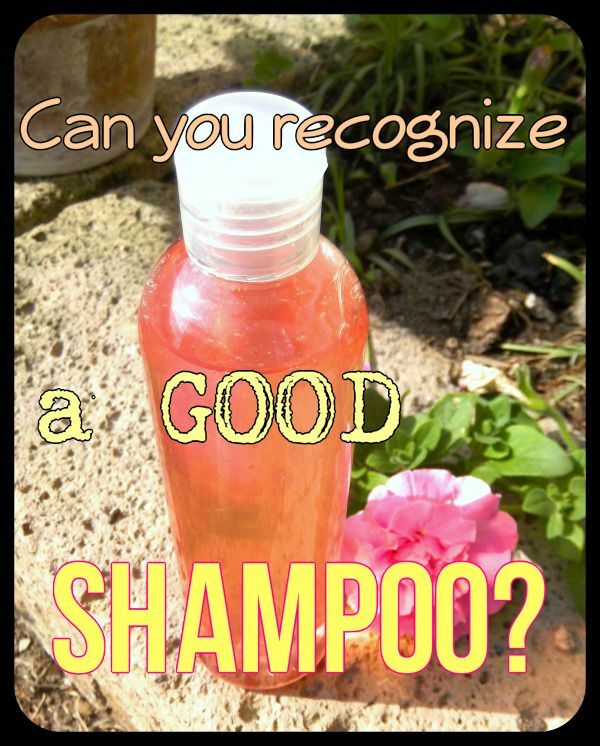 However… this post will be about being able to recognize (or at least attempt to recognize…) a good shampoo from its INCI! You should be able to find the INCI on any product if you live in Europe or America. I am not sure about other countries around the world: in India for example there is usually no INCI but there is just a short list of the best ingredients inside the product (for example a herbal shampoo named only the herbal ingredients on its ingredients list, as if it didn’t contain any surfactant at all). This all depends on the regulations of the place where you live. Needless to say (but I will repeat it nevertheless 😀 ) everybody has their own hair type, scalp, allergies and affinities. This is why I am NOT going to suggest any shampoo to anybody, what I am going to do is simply try to give you the right “tools” to be able to find out a good shampoo for yourself. Third thing: I am not a biodegradable-nazi, which means that I do try to use easily biodegradable ingredients but I don’t go crazy if I find one “not so easily biodegradable” ingredient among many good ones; this said, I will indeed try to point out the main shampoo ingredients and I will tell you if an ingredient is easily biodegradable or not. You should know by now how a shampoo is made, but I will still explain it very briefly so we can analyze the INCI easily. A shampoo is made by water, a combination of surfactants and some extra ingredients which are used to add conditioning properties, adjust the pH, adjust the density, add a nice smell… of course, since it contains a lot of water, a shampoo MUST contain a preservative or a preserving system as well. However, I will briefly explain about the main differences in surfactants and I will show you examples of the most common (and happy) combination of surfactants which work well in a shampoo! HERE you can read about the different families of surfactants. The first “family” I am going to talk about are the ANIONIC Surfactants, which means that they have negative charge. They are largely used in detergents and shampoos and provide good detergency and lather. In this family we find: SLS (sodium lauryl sulphate), SLES (sodium laureth sulphate), ammonium lauryl/laureth sulphate, sodium lauroyl sarcosinate, disodium laureth sulfoccinate. The reason why we find them in shampoos is that they have a good conditioning property (which is caused by the negative charge they have), they are also cheap and they are generally quite aggressive but if the formulation of the shampoo is well made, this is not a problem. Maybe the most commonly found surfactant combination in shampoos is “SLES (Sodium Laureth Sulfate) + Cocamidopropyl betaine” (but you could also find “ammonium lauryl sulfate + betaine” for example). This is a good combination, except for the fact that SLES is not too easily biodegradable (therefore if you really care to use only easily biodegradable things… you won’t like this much – however on the “biodegradable dictionary” it is considered “acceptable”); there is a close friend to SLES which is easily biodegradable and that’s SLS (Sodium Lauryl Sulfate) but this one is much more aggressive than his friend and therefore nowadays it is not so commonly found among shampoos (and also, there has been a quite misleading campaign about these two ingredients online… therefore companies try to avoid using SLS/SLES because of the bad publicity it might get them). What to consider if you find an INCI with SLES+CAPB (cocamidopropyl betaine)? Of course even if the INCI is like the first example, we cannot really know how much % of betaine there is in the shampoo and it might still be too aggressive… BUT we do have the hope that the shampoo was well formulated and there is a good amount of CAPB to make the SLES more mild. As I was saying before, not only the use of different surfactants in the same formula makes the anionic surfactants milder, but there are also some ingredients that can be added for this purpose. INCI: Aqua/Water, Sodium Laureth Sulfate, Citric Acid, Cocamidopropyl Betaine, Ammonium Hydroxide, Sodium Chloride, Eucalyptus Globulus Extract/Eucalyptus Globulus Leaf Extract, Sodium Benzoate, Sodium Hydroxide, Polyquaternium-10, Salicylic Acid, Limonene, Camelia Sinensis Extract/Camelia Sinensis Leaf Extract, Lamium Album Flower/Leaf/Stem Extract, Linalool, Lippia Citriodora Leaf Extract, Citrus Medica Limonum Extract, Lemon Fruit Extract, Citral, Hexylene Glycol, Hexyl Cinnamal, Glycerin, Parfum/Fragrance. INCI: water, SLES, cocamidopropyl betaine, trimethylglicine, decyl glucoside, hydrolized wheat proteins, glycerin, Poliquaternium-7, coco glucoside and glyceryl oleate, Inulin, citric acid, preservative (I used an easily biodegradable preservative in this case). This is just the beginning: there is still a lot to say. Is there anything unclear so far? Hi there thanks for all the great posts! Hi there, really finding your posts helpful as I need to reformulate my shampoo recepie without SLS. So much about tensides that is hard to wrap ones brain around 😉 I use Decyl glucoside and Betain besides the SLS, tried the Decyl and Betain alone but this was really liquid and the hair feels a bit limp afterwords. Was hoping to find a good replacement with better degradability my regular supplier, but there doesnt seem to be a more natural one that matches the SLS. Now, in your last posted recepie I found the base is Sodium cocosulfate, witch my supplier has, so I will try this. It would also possibly solve the thickening problem. Will also try lacticacid to reduce the PH. So thanks for all the pedagogic info on tensides, it´s not easy to find some good info about this on the web! Hi. I’ve been looking for recipes to make liquid shampoos and also no soap face wash. I am so glad to have your blog. All the information is scattered all over the web and so scientific which makes it seem really scary. I have so far managed to formulate a really nice conditioner which my fussy daughter loves but I kinda winged it (I did record it all so I can recreate it!) Somehow I don’t think that will work with shampoo. I don’t even know what ingredients to order!